Enlarge/ SpaceX’s Crew Dragon approaches the International Space Station in March, 2019. 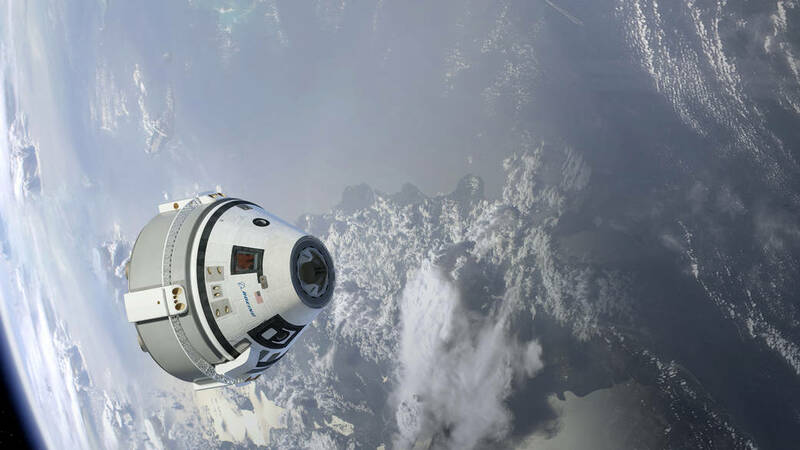 Behind the scenes, Boeing was pushing hard to win all of the funding for NASA’s commercial crew program, and the company was encouraging NASA to go with the safe choice over spaceflight newcomers SpaceX and Sierra Nevada. “We were fighting to keep two providers as many in Congress, lobbyists, and some in NASA were fighting to down-select to only Boeing,” one government source familiar with the process told Ars. In the end, NASA’s chief of human spaceflight, William Gerstenmaier, kept two providers, Boeing and SpaceX. This has proven a wise decision for reasons of both cost and schedule. It also offers a timely lesson as NASA administrator Jim Bridenstine considers new approaches to taking humans back to the Moon with a reasonable budget and schedule. 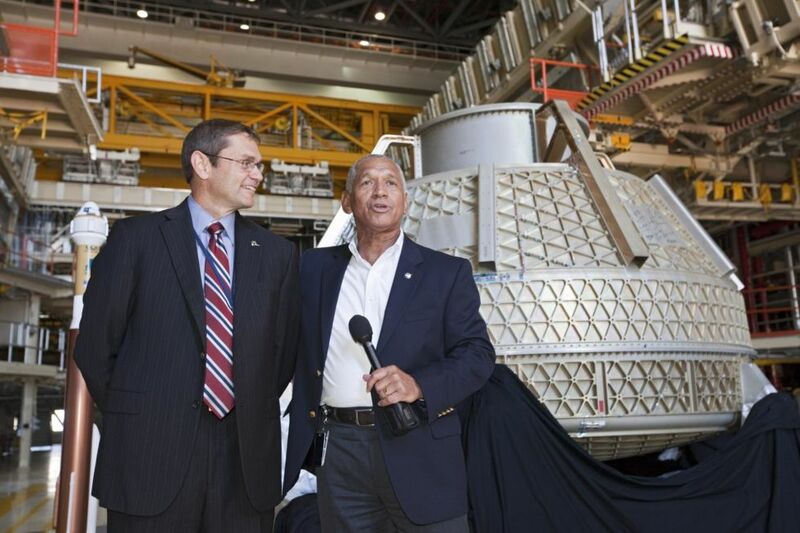 Enlarge/ NASA Administrator Charlie Bolden, right, and Boeing space chief John Elbon in front of a Starliner in 2012. Neither the agency nor the companies have publicly disclosed the values for line item 001 or line item 002. But we can make a pretty good estimate. By subtracting line item 003 (up to $150 million for each company), knowing the total value of the contracts, and using NASA’s own average value of $58 million “seat price,” we can back into the total value of line item 002: $2.784 billion. This, then, is the total amount NASA is paying for 12 operational flights to the space station from 2020 to 2024, or a total of 48 seats from both companies. By contrast, Boeing will not fly its first uncrewed demonstration mission until at least August, and NASA has acknowledged that this date may well slip again. One troubling sign for Boeing is that the company still has not performed a launch-pad abort test—during which Starliner’s emergency escape system is fired from the launch pad to ensure the capsule can rapidly get away from the rocket during a launch problem. The implication here for NASA, as it looks to extend human spaceflight from low-Earth orbit into deep space, seems clear. If the agency is serious about lunar landings by 2024, it has a lot of contracts to set soon: for Gateway modules, for lunar lander components, for spacesuits, and for rockets to get all of that material into lunar orbit. The lesson from commercial crew is that healthy competition among providers is good, commercial contracts can lead to lower prices, and just because a company has a long history of spaceflight success doesn’t mean they’ll necessarily perform better than the new kids on the block. Launch flaws are faced by the new space capsule for astronauts of boeing. The Starliner capsule was supposed to make its debut this month. Nevertheless, the first test flight is now off till August. And the next test flight, with astronauts, will not happen until late in year. Wednesday the revised lineup was declared by NASA. At exactly the exact identical time, officials said the Starliner crew will stay at the International Space Station longer than the couple of weeks. The assignment length is going to be determined. 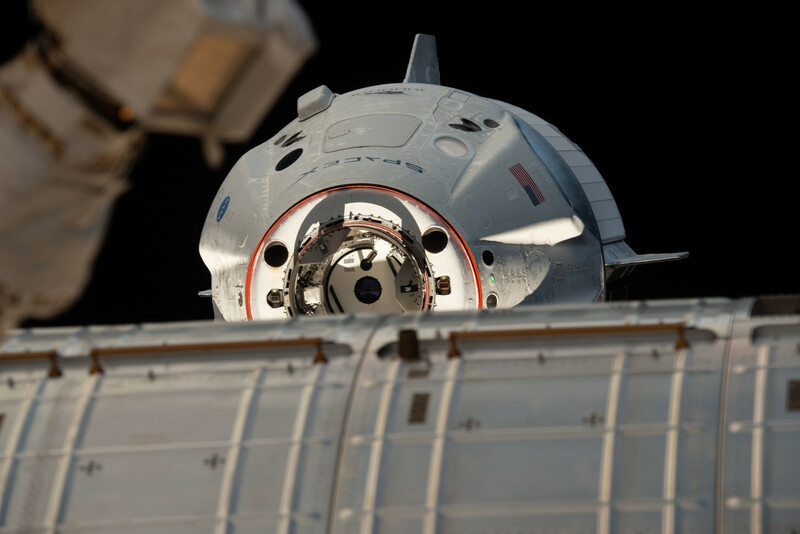 SpaceX, NASA’s other crew supplier flew its own fresh Dragon capsule without a crew to the International Space Station last month. The schedule is under review, although the very first flight with astronauts may be as early as this summer. Boeing reported the major landmarks are eliminated and the capsule is practically finished. But scheduling conflicts having an early summer Air Force launching helped push the introduction of the Starliner into August. The Starliner will soar on the Atlas V rocket of United Launch Alliance, the exact same kind of rocket needed for the Air Force assignment from exactly the pad. The Starliner team will move in the complex for an extended period, while the first SpaceX astronauts will go to the space station for a couple of weeks at most. The typical station stay is about half a year. NASA wants to reduce its reliance on Soyuz capsules that are costly as soon as you can, and so that the Boeing test flight will probably double as a taxi mission for station residents. NASA astronauts have been stuck driving rockets because the shuttle program’s end. SpaceX Dragons and Boeing Starliners will return human launches after the eight-year hiatus, to Florida. NASA contracted to take care of space station airport flights, so it could revolve around getting astronauts to the moon and, eventually, Mars. The Associated Press Health & Science Department receives assistance from the Department of Science Education of the Howard Hughes Medical Institute. The AP is entirely responsible for content. At the Q&A session, Bridenstine explained that NASA and the military had assessed the debris field last week, and determined the risk of small debris impacting the ISS was increased by 44 percent, over a period of 10 days. (This came in spite of previous comments from Lieutenant General David Thompson, vice commander of U.S. Air Force Space Command the week before, who said, according to Reuters, that the ISS at that point was not at risk.) Bridenstine said NASA had identified about 400 pieces of orbital debris created by the event (and in all likelihood, there were probably 10 times as many fragments produced). Only about 60 pieces were large enough (at least 10 centimeters in diameter) to be actively tracked. So what exactly does this “44 percent increase in risk” mean? How did NASA come up with this number, and what sort of danger does this pose to the astronauts on board the space station? NASA declined to comment or make any expert available for questions, but we know that assessing orbital debris threats is not a clear-cut process. The main issue “is that we don’t have precise knowledge of where things are in orbit,” says Raymond Sedwick, a University of Maryland aerospace engineer and the director of the Center for Orbital Debris Education and Research. While the location of operational satellites are obviously known and tracked by whomever is operating the satellite itself, decommissioned satellites and pieces of debris have to be tracked by the Air Force, and depending on the object and whatever sensor is tracking its movements, the estimated location ranges to within a few hundred meters or as wide as a several kilometers. “If your estimate of the velocity is off, then [the object] is moving faster or slower than you think, so over time it ends up moving more or less than you think,” says Sedwick. At an orbital velocity of, say, 7,500 meters per second, an error of only a few centimeters per second might sound low, but it will cascade over time. After just a single day, the object could be several kilometers away from where you would expect it to be. Compounding this process are factors like atmospheric drag and object orientation. And not all objects are measured every single day. As a result, you can hardly ever know the exact whereabouts of an object at a given moment—you have to rely on broad estimations. The International Space Station is like its own little self-contained hostel for astronauts. It’s a weird combination of laboratory, recreational area, and gathering space for the folks who are lucky enough to spend some time in space. That being said, it can’t sustain itself without regular shipments of supplies, and since Amazon doesn’t deliver to space (yet), those goods are sent by groups like Russia’s Roscosmos. Today, the ISS successfully received one such shipment, and while launches of supply missions don’t get the kind of recognition that crewed launches receive, they’re still incredibly vital to the success of the science being conducted in space. The resupply mission, known as Progress MS-11 by Roscosmos, left Earth from Kazakhstan early Thursday. It completed a rapid trip to the ISS, arriving at the space station a mere three hours and 20 minutes after it took off. In the video below, you can see the Progress spacecraft creep closer to the station and eventually dock with it. As is typical of a resupply mission, the Progress spacecraft was packed full of consumables that the astronauts need. That includes things like food and water, as well as propellant. A whopping 110 pounds of oxygen and over 900 pounds of water was included in the delivery, boosting the total size of the shipment to over 5,400 pounds. It’s important to note that the schedule of resupply missions allows a good bit of leeway with regard to when supplies actually reach the space station. Astronauts are never left in need of any of the supplies while they await the arrival of a resupply mission, and even if such a mission were to completely fail due to some dire technical malfunction or other issue, the astronauts always have plenty of overlap between when their current supplies would run out and when new shipments arrive.